Maximum wave amplitude for the October 28, 2012 Haida Gwaii Tsunami computed with the MOST forecast model. The insets show the space-time TEC variations at 2 epochs within 27 mins interval (08:10 to 08:37 UT - October 28, 2012) at the sub-ionospheric points for 5 satellites showing TIDs, overplotted the tsunami MOST model. The TIDs are consistent in time and space with the tsunami waves. Tsunamis can produce gravity waves that propagate up to the ionosphere, is a region of the Earth’s atmosphere where there is a high concentration of ions and electrons that can affect the spread of radio waves. These ionospheric disturbances can be studied in detail using ionospheric total electron content (TEC) measurements collected by continuously operating ground-based receivers, for example GPS, from the Global Navigation Satellite Systems (GNSS). The existing tsunami warning system developed by the NOAA Center for Tsunami Research (NCTR) at PMEL currently relies on numerical modeling MOST (Method of Splitting Tsunami model) and buoy observations to produce timely and accurate tsunami forecast for potentially vulnerable U.S. coastal communities. Ground GNSS observations processed in real-time may have the potential to enhance the current system by independently providing the tsunami speed and amplitude. In a study published in Scientific Reports, the authors present results using a new open-source approach named VARION (Variometric Approach for Real-Time Ionosphere Observation) that focuses on the real-time detection of the Traveling Iononspheric Disturbances (TIDs) caused by tsunami atmospheric gravity waves. This method, combined with real-time data from different sources (e.g. seismometers, buoys, GNSS receivers), may be considered as a novel contribution to future integrated operational tsunami early warning system. This study was a collaboration among the University of Rome, NASA JPL, NCTR and the University of Washington. Dr. Yong Wei from NCTR and UW’s Joint Institute for the Study of the Atmosphere and Ocean provided MOST modeling of tsunami waves near Hawaiian Islands, more than 4,000-km away from the tsunami source, generated by the October 28, 2012 Haida Gwaii earthquake. The model/data comparison shows the TIDs are very consistent in time and space with the model simulated tsunami waves, offering insight with regard to the ionospheric response to the tsunami-driven atmospheric gravity wave. A student learning to use a Van Veen Grab Sampler to assess the type of sediment and what the macrofauna is at the bottom of Lake Washington. Registration for 2017 NOAA Science Camp is now open! NOAA Science Camp is held at the NOAA Campus in Seattle, WA and introduces both middle and high school students to the diverse range of careers and research conducted by our scientists. Three programs are offered: Middle School Science Camp, High School Junior Leadership Program and a Remotely Operated Vehicle Mini Session. PMEL scientists (NOAA and JISAO) lead activities relating to engineering and oceanography, including how scientists conduct their research when they go to sea, how scientists work with engineers to solve complex marine questions, how currents and trace chemicals move throughout the ocean, and even how buoys help predict large-scale climate events such as Tsunamis. The camps will run at various times from July 10-26. The middle school camp offers two sessions: July 10-14 and July 17-21, 2017. NOAA Science Camp has partnered again with Atlantis STEAM to offer a three-day mini-session where campers will get to design, build, and drive their own Remotely Operated Vehicles (ROVs). This is an exciting addition to our summer programming - please check out the website and register for this session being offered on July 24-26, 2017. Look for the green registration button on each page to register your camper. ATLAS buoy deployed at 4N, 90E on 4 March 2017 with the R/V Baruna Jaya VIII in the background. PMEL’s Global Tropical Moored Buoy Array group has begun the 2017 field season of the Research Moored Array for African-Asian-Australian Monsoon Analysis and Prediction (RAMA) in the Indian Ocean. PMEL scientists and engineers just finished participating in the collaborative US-Indonesian research cruise aboard the Indonesian research vessel Baruna Jaya VIII in support of the RAMA array. Dr. Michael McPhaden, Tim Nesseth, and William Higley (from the University of Washington’s Joint Institute for the Study of the Ocean and Atmosphere) serviced 5 RAMA moorings along 90°E. The cruise left Jakarta on February 20 and returned to Jakarta on March 16 with a mid-cruise port call in Sabang on northern Sumatra. During the mid-cruise port stop in Mike McPhaden briefed local and regional officials from the Indonesian Agency for Meteorology, Climatology, and Geophysics (BMKG), which partners with NOAA in maintaining RAMA buoys in the eastern Indian Ocean. RAMA is an international effort to improve understanding and ability to predict of the African-Asian-Australian monsoon system. It complements other moored arrays in the Atlantic (PIRATA) and Pacific (TAO/TRITON) Oceans. Since RAMA began in 2004, the array has since grown through the formation of new partnerships and is now 78% complete. To learn more about RAMA, visit PMEL’s Global Tropical Moored Buoy Array’s website here. New research published today in Nature Climate Change shows that ocean acidification is spreading rapidly in the western Arctic Ocean in both area and depth, potentially harming shellfish, other marine species in the food web and people who depend on these resources. This research shows that between 1994 and 2010, acidified waters expanded northward approximately 300 nautical miles from the Chukchi Sea slope off the coast of northwestern Alaska to just below the North Pole. Also, the depth of acidified waters increased from approximately 325 feet to over 800 feet (or from 100 to 250 meters). The international research team determined the saturation state for aragonite, a carbonate mineral that marine organisms need to build shells, from water samples taken in the Arctic during cruises by the Chinese ice breaker XueLong (meaning “snow dragon”) in the summers 2008 and 2010, and during three other cruises. This research results showed that the Arctic Ocean is undergoing a rapid and large-scale increase in acidification, at least twice as fast as that observed in the Pacific or Atlantic oceans. NOAA PMEL’s Richard Feely is a co-author on the paper led by China’s Key Laboratory of Global Change and Marine-Atmospheric Chemistry of State Ocean Administration, Xiamen, China, and the University of Delaware. Read more on NOAA.gov and the University of Delaware's Press Release here. Learn more about PMEL’s Carbon Program on their website here. Read the paper in Nature Climate Change here. Jessica Cross (bottom left) giving her presentation to the House Resources Committee. On February 22, 2017, Dr. Jessica Cross gave an invited presentation on ocean acidification and its potential impacts to fisheries and natural resources in Alaska to the Alaska State Legislature’s House Resources Committee. Dr. Cross was invited by Rep. Geran Tarr, Co-Chair of the House Resources Committee. The presentation covered impacts on food security and risk assessment for Alaska's fishery sector. 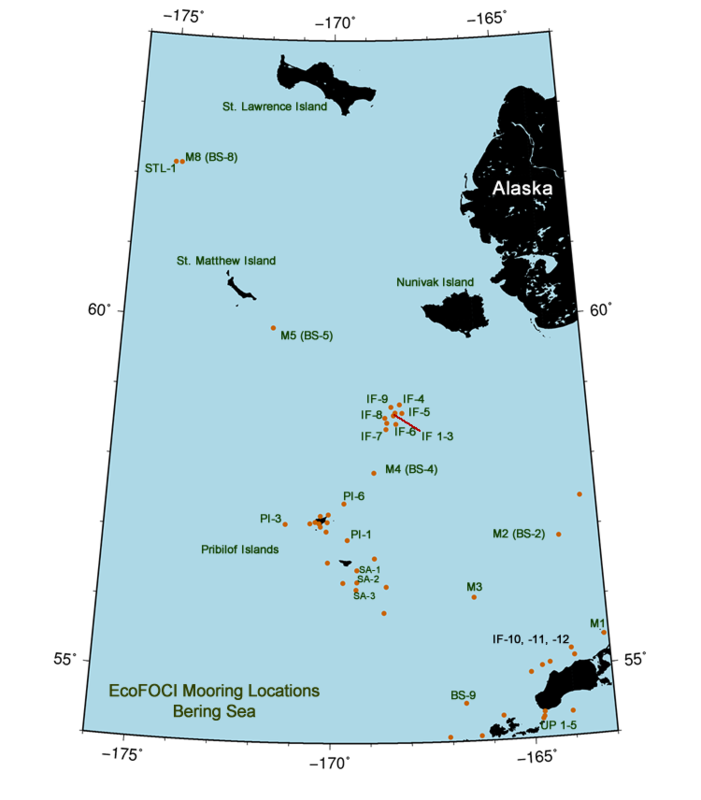 Future projections of OA indicate imminent impacts on the Bristol Bay Red King Crab fishery, according to NOAA researchers in OAR and NMFS at the Alaska Fisheries Science Center. While in Juneau, Jessica also gave a talk to the University of Alaska, and the United Fishermen of Alaska (UFA). The Alaska Ocean Acidification Network facilitated these discussions as a way of connecting scientists like Dr. Cross to stakeholders, like UFA, and regulators at the state legislature. The Network brings together these diverse groups to identify knowledge gaps and information needs for future research and community resilience. Dr. Cross' current research focuses on carbon biogeochemistry and ocean acidification in Arctic regions, especially along the Alaskan coast. Learn more about her work with the Innovative Technology for Arctic Exploration Group here.